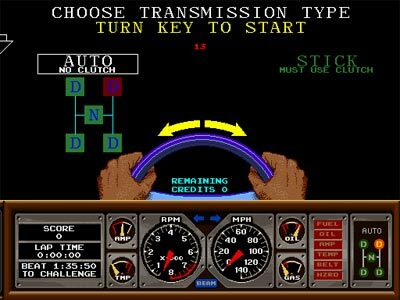 Hard Drivin’ for the NES: First Screenshots! 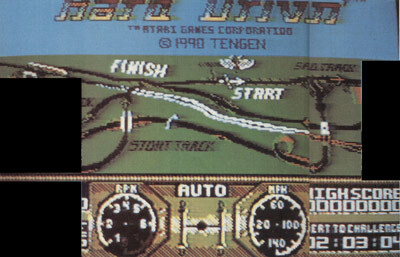 While browsing through the Mean Machines Archive today, I stumbled on something pretty unexpected: the first screenshots I’ve ever seen of Hard Drivin’ for the NES, Tengen’s unreleased port of Atari’s driving simulator-turned-arcade racing game! 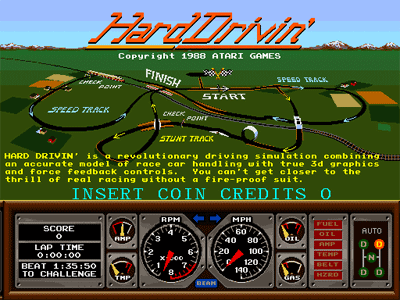 Hard Drivin’ was an extremely popular arcade title for Atari in 1989, featuring what was then considered realistic driving physics, the first use of 3D polygons in an arcade racing game, and my favorite feature: an actual key you had to turn to start the ignition! 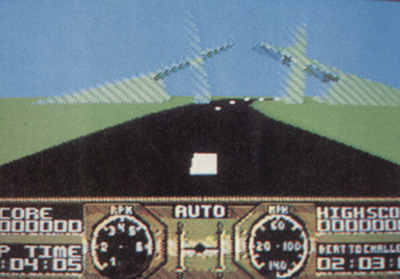 These scans come from Mean Machines #0, a promotional test market predecessor to the short-lived UK console mag. 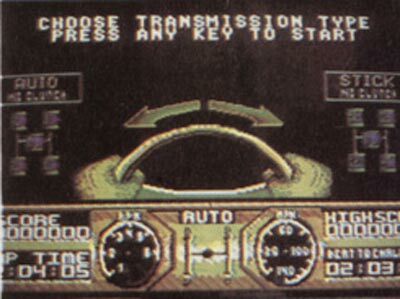 Mean Machines would eventually (more or less) become Nintendo Magazine System, the UK’s official Nintendo mag. Later, the magazine would change its name to Nintendo Official Magazine. Much later still, that magazine would hire me to do game reviews. And very shortly thereafter, that magazine would lose its official Nintendo licensure, its entire staff would get fired, and competing publisher Future would pick up the official Nintendo magazine title. 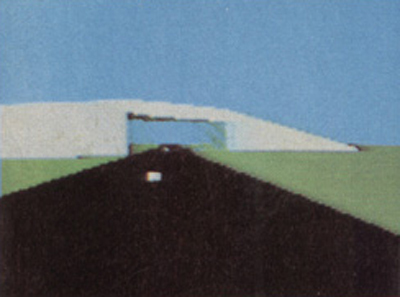 So basically, these images that you’re seeing are from the very first issue of a magazine that I would one day kill. Shouldn’t have given me that six-page Pokemon cover feature, Dean. According to the preview, the NES port was being programmed by Mark Morris who, despite this MobyGames entry, I’m convinced is not the same Mark Morris who co-founded Introversion Software and directed Darwinia and Defcon. In fact, I’m also not convinced that he’s the same man as the THQ director currently claiming the majority of that same entry, given that this San Diego Union-Tribune interview accredits that Mark Morris’ first game as 1996’s Men in Black. It would seem that this MobyGames entry actually combines the credits for three different Mark Morrises. Yikes! 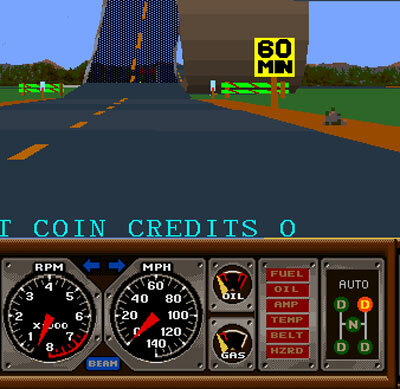 It seems pretty obvious from the shots that nothing beyond a rudimentary track was implemented; notice that there are no other vehicles, signs, or even scenery! 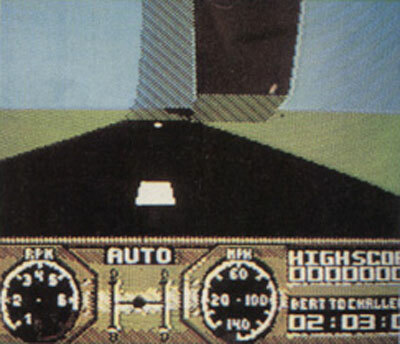 Still, though, this looks like it could have been a pretty impressive technical feat on the NES. Mark Morris, are you out there? Have any insight for us? Check out a complete *.pdf of Mean Machines #0 here! It also features a rare screenshot of The Legend of Hero Tonma for the NES, another unreleased game. « Good Luck Charlie Brown Footage!